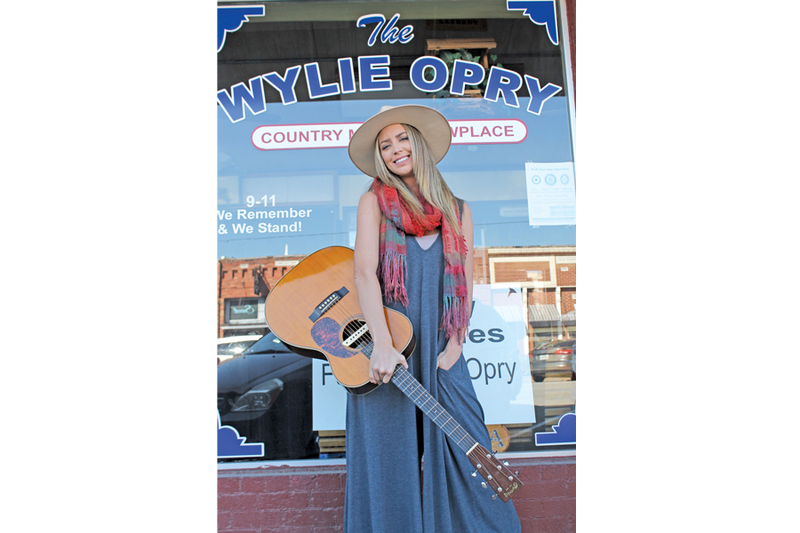 Performing on stage is fun; it’s the driving to gigs that is work for Wylie singer-songwriter Kylie Rae Harris as she pursues her dream at venues across the country and internationally. Harris is a 2007 graduate of Wylie High School who returned home after heading to college, making a couple of stops in Texas towns and living in Nashville, Tenn.
“I’ve come full circle,” she noted. The musician, a single mother, now shares a house in Wylie with her sister, Randee, also a single mother. Their mother and stepfather, Betsy and Brent Cowan, also live nearby. “I wouldn’t be able to travel and do music if it wasn’t for my family,” Harris declared. She recently released a 6-song extended play CD of original songs titled simply “Kylie Rae Harris” and was featured last month in a Billboard magazine story.